RJC Designs' role was to develop the media ministry's vision, to provide a program strategy to follow, to provide infrastructure and budget development, and to plan and provide audio, video, tape duplication, image production, choir systems, broadcast, IT, security and other media systems designs. Within RJC Designs development team are specialists in acoustics, theatre and house of worship sound system designs. The combination of these disciplines combined with their many years of experience and expertise will ensure the vision of the church for the new Kettering Worship Center. A robust infrastructure and a long term planning vision will allow the church to grow into their new 190,000 square foot, 4,000-seat sanctuary and 44-classroom education facility. This will help to ensure a ministry that will grow with the needs of the congregation and the surrounding community. 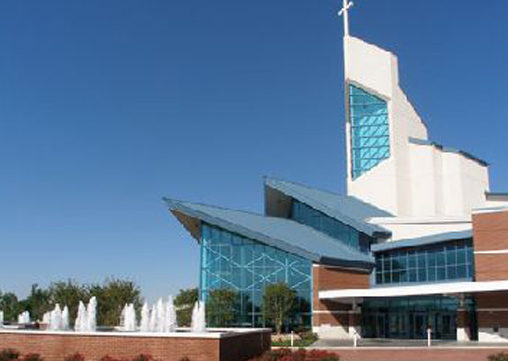 Connectivity between the new Kettering site and First Baptist Church of Glenarden's existing site will be an important element in the design development process. Interaction between the sites will allow both congregations to come together as one.